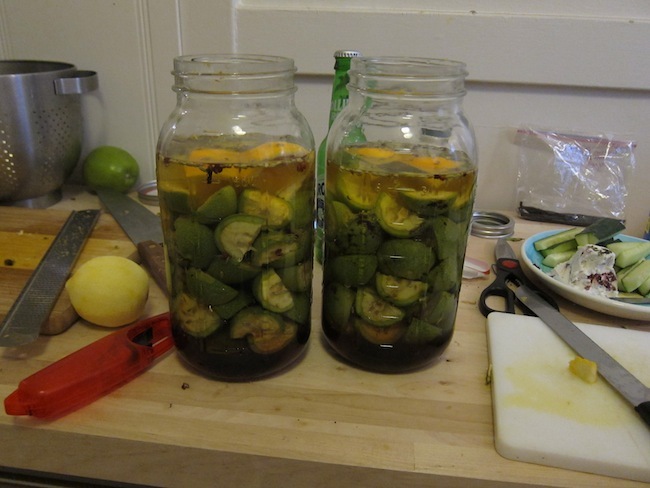 As posted yesterday, I made a batch of nocino with TSB, but we also made Vin De Noix, a French walnut wine. Combine all ingredients in a half-gallon mason jar and let sit, shaking occasionally for at least 3 months. Please see comment on Nocino post.